Kyoto is located right in the center of the historical Kansai region in Japan. This historical capital is the cultural soul of the country and one of the places where the roots of the Japanese nation stem from. Whether you have planned to go east or west, north or south – make sure to save some time and travel around the Kansai region, easily accessible with the JR bullet trains. It is the one area filled with more heritage than anyone else in Japan. The Todai-ji temple in Nara, is maybe the most popular side trip from Kyoto. It which will amaze you with its giant Buddha, located in the world’s largest wooden building. Visit Kobe and learn how the city played an essential role in Japan’s international development and how from a small town it became the principal port of an entire country. Osaka is the complete contrary of cultural and historical Kyoto. Modern, busy and fascinating, Osaka has to offer its own Universal Studios, great views, and unforgettable experience from the top of the Umeda Sky Building. 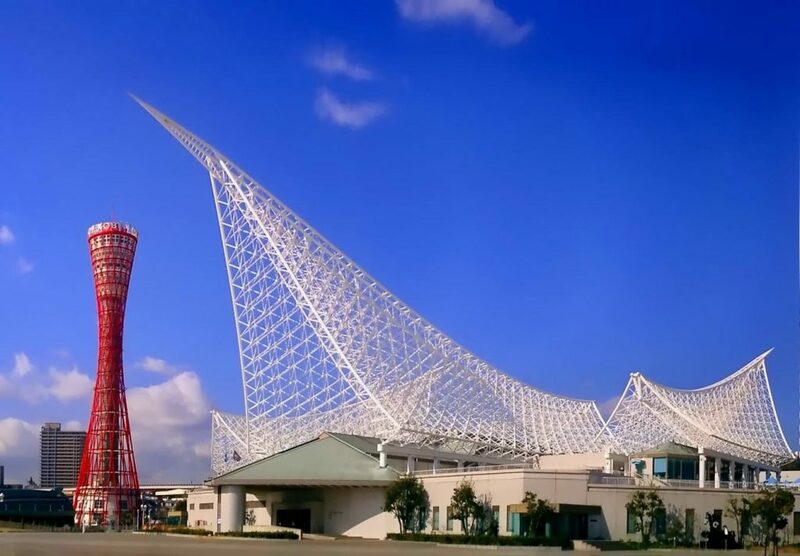 Last but not least, if trains fascinate you, do not miss out on the Railway Park of Nagoya – a place where the history and evolution of world-class trains stand before your eyes. Nara is just 37 km away from Kyoto. There is a direct Rapid Service on the JR Nara Line that will take you to the city in less than an hour. 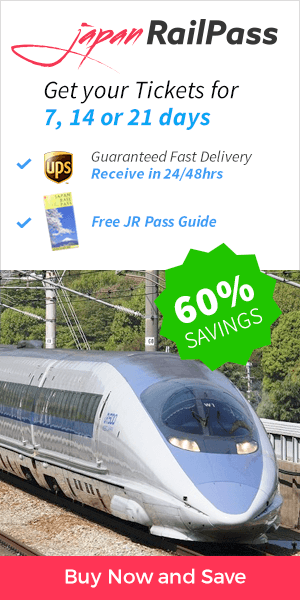 The JR Nara Line is included in your Japan Rail Pass, which means that all JR pass holders can make this trip for free. But if you don’t know anything about this city, the first thing to learn is that Nara is amongst Japan’s top destinations, preferred by locals and international visitors. 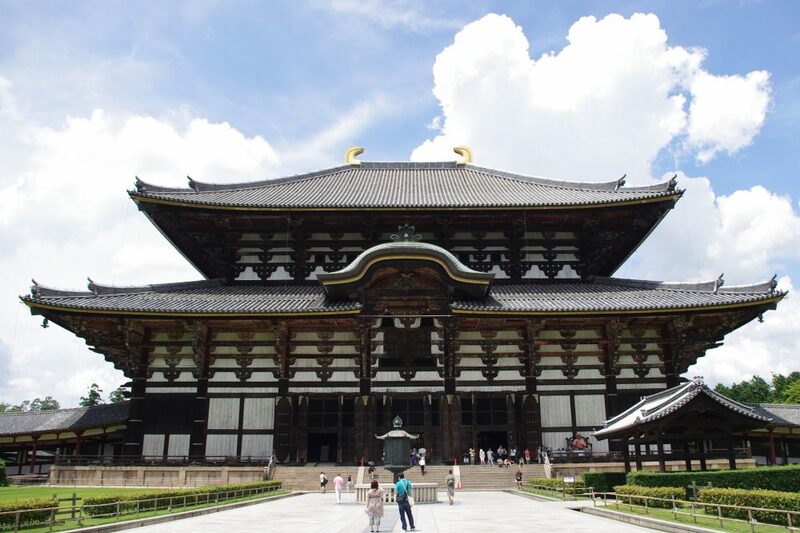 One of the Unesco World Heritage sites that are located in Nara is the great Todai-ji temple. The Big Buddha Hall, located within the temple, is the world’s largest wooden building. Todai-ji is also home to one of the largest bronze Great Buddha statues ever built. On your way to the temple, you might stumble upon a couple or more deer, who have come from the nearby Nara park. This is no surprise, considering the fact that Nara park is home to over 1200 deer. The area around Todai-ji is flourishing with museums, monuments, and temples, all of which are worth the visit. Plan your hours well in Nara and take as much as you can from this historical land. For more ideas on what to do in Nara, check out our Japan in 21 days article (Nara – week 2). This is another great option for a day trip from Kyoto that will take you less than an hour, taking the Sanyo Shinkansen. Situated on a hill over the seashore, Kobe plays the role of one of Japan’s most sophisticated and culturally rich cities. Furthermore, it was one of the key Japanese ports when it came to Chinese trade business centuries ago. Fortunately, Kobe is relatively small and very well structured, which means that all the great monuments to see are located within walking distance from one another. Make sure to visit Kobe Maritime Museum. It has to offer an extensive collection of amazing quality model ships as well as several interactive attractions. Kobe City Hall is located just a few minutes walking distance from Sannomiya station. You will be able to enjoy some great views of the city, completely free of charge. 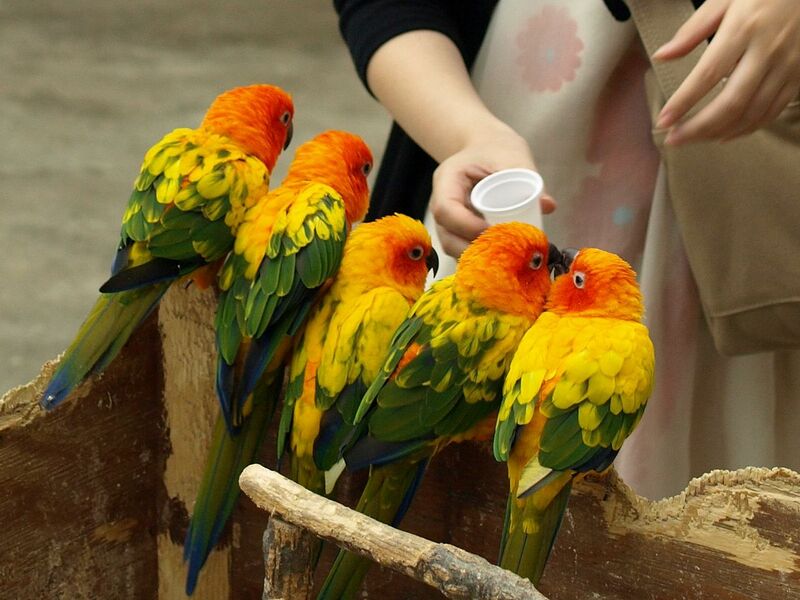 The Animal Kingdom in Kobe is an amazing attraction that both locals and foreign visitors, mostly because this is not the typical zoo, where you just have a quick glance at caged animals. At the Kobe Animal Kingdom you will be able to enjoy the modern version of wildlife in the city where animals walk free (this is excluding lions, bears, elephants, etc.). Osaka is a modern, cultural and down-to-earth city – the complete opposite of Kyoto. This makes it the perfect destination for a day tour if you wish to experience the true and diverse Japanese culture. It will take you less than 30 minutes to get from Kyoto to Osaka with the JR Special Rapid Service. 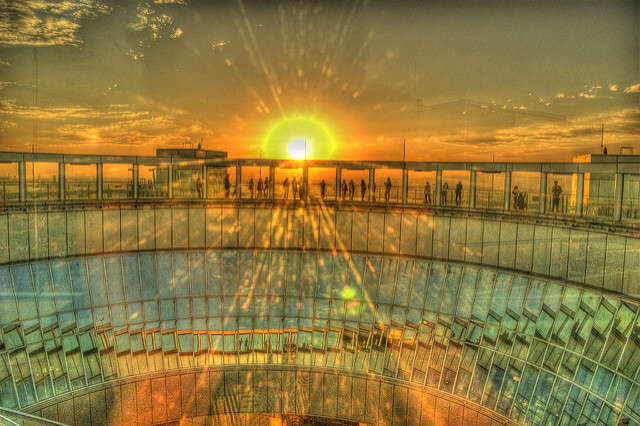 One of the great places with breathtaking views of the city that are an absolute “must” is the Umeda Sky Building. It consists of two 173 meters high towers, which are connected by a “Floating Garden Observatory” on the 39th floor. It is open from 10 a.m. until 10 p.m., which makes for a perfect spot to admire all of Osaka day and night. Finally, Universal Studios Japan is an excellent way to have a lot of fun with the whole family. The Japanese version is not too different from the American one; however, the fun is guaranteed. The Osaka Museum of History is one of the few places where the 1400-year history of Osaka comes to live. Each floor represents a different age, starting from modern times on the ground floors and gradually taking you to the ancient era on the upper grounds. Some of the museum expositions include incredibly detailed, life-sized exhibits, short educational history movies, and mesmerizing photographs. 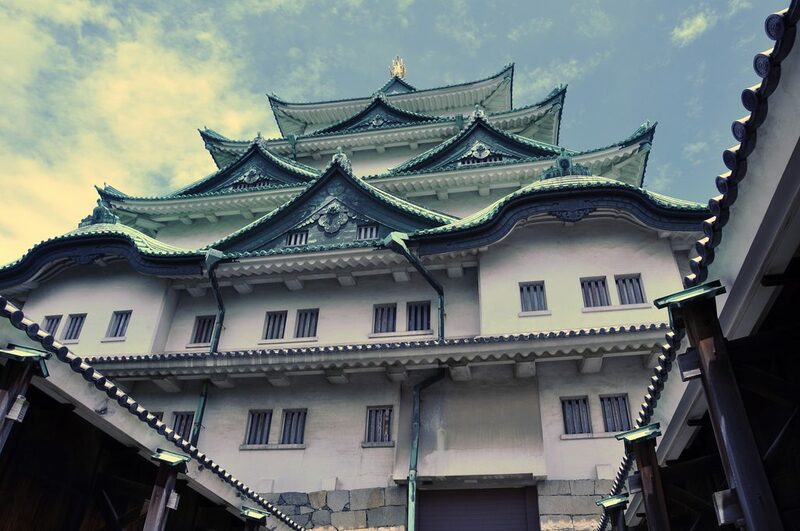 Osaka Castle is the pride of the city. Originally built in the 1580s, the castle has undergone a number of reconstructions. Nevertheless, up to this day, the last standing replica is just as magnificent and majestic as the original castle. The architecture, as well as the gold-leaf and copper rooftop, give an excellent example of traditional Japanese construction. 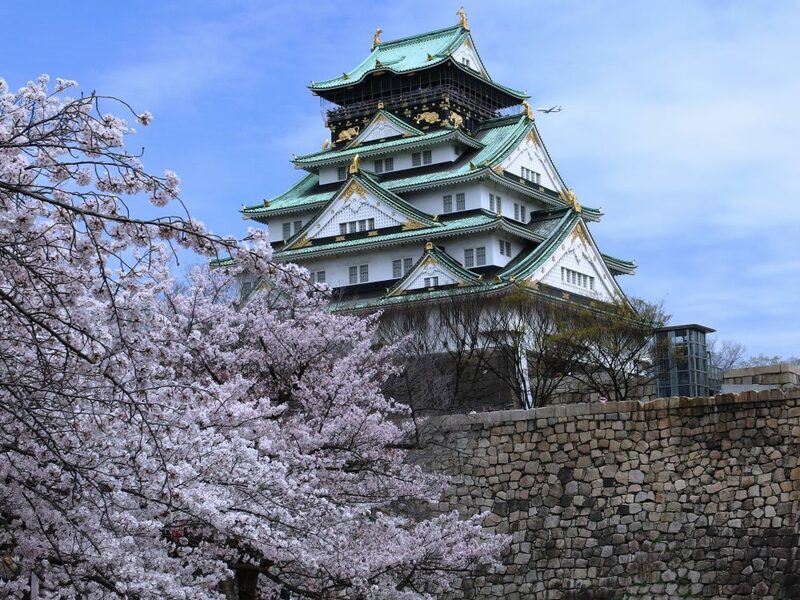 An observatory on the top of the castle gives visitors the opportunity to admire the Osaka Castle from up above together with its surroundings. 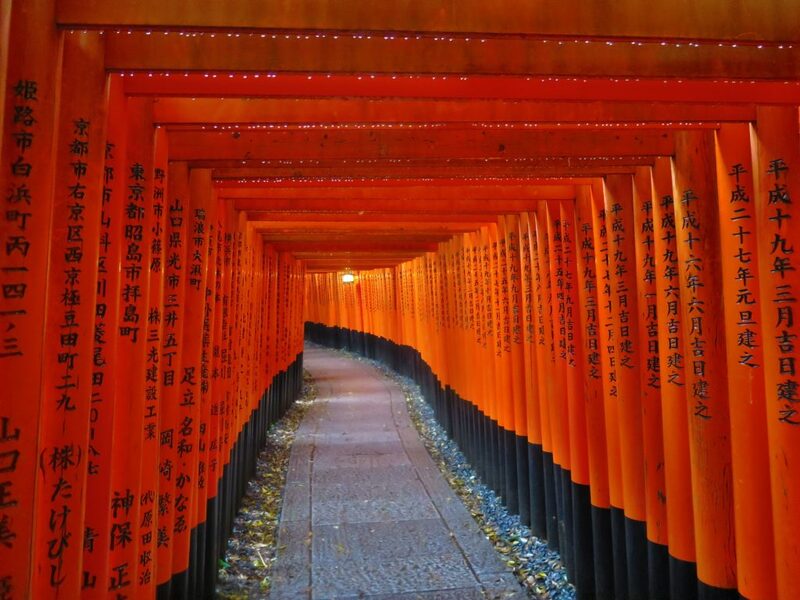 No matter the weather nor the time of year, the Fushimi Inari-taisha Shrine has always been and will be one of the best places to visit in the Kyoto area. Located close to the city center of Kyoto, the Shrine is easily reachable by bus or train. The thousand vermillion torii gates located behind the temple’s main walls will leave you breathless and wonder if a different world is waiting on the other side, at the end, just after the last gate. If you are in a good physical shape, do not miss out on the astounding views of Kyoto the multiple viewpoints have to offer. The more steps you climb, the fewer visitors you will see as you get higher. Oddly enough, we recommend you try visiting the Fushimi Inari-taisha Shrine on a cloudy day. Not only because there surely will be fewer visitors, but you will be taken away by the magical atmosphere the clouds create on the top of the Kyoto hills. By combining this with the countless screaming-red torii gates, you will feel like no other shrine could ever top Fushimi Inari. How to get there: From Kyoto Station, take the JR Nara line and drop off at Inari Station, just by the gates of the temple. Total travel time is just 8 minutes! Nagoya is located in the very center of the main island of Japan – Honshu. It is one of the main Japanese industrial key points, and it doesn’t stop developing. 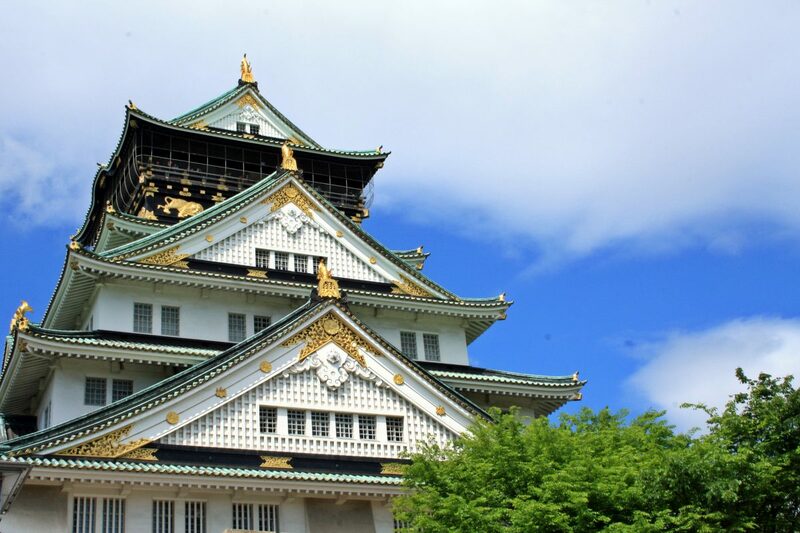 Apart from playing an important role in the country’s development, Nagoya attracts visitors from all over the world. Make sure to visit the Nagoya Public Aquarium. Its size (biggest in Japan) and special shows will not only surprise you; a craving to come back at least one more time is inevitable. Educational and entertaining shows offer guests of all ages and nationalities to explore together the animal and underwater worlds. SCMAGLEV and Railway Park is the one place all train lovers must visit. This is not the typical train exposition but a standing proof of how the railway development has revitalized the Japanese economy over time. 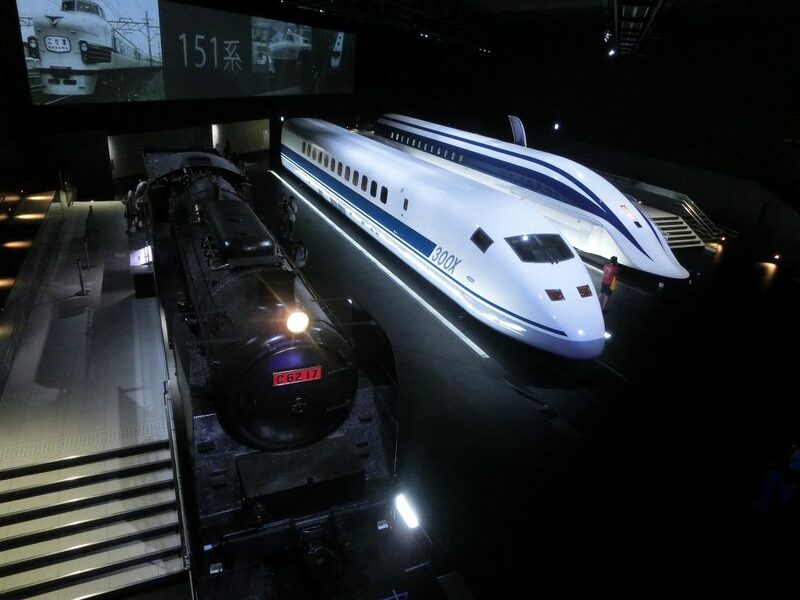 This is one of the most visual train evolution expositions in Japan; the magnitude will most definitely surprise you. Experience the design, technological advance and try riding your own train. The Nagoya Castle played a significant role in averting the attacks coming from Osaka in the 17th century. Ieyasu Tokugawa, the first shogun of the Tokugawa Shogunate of Japan, gave the orders for the Nagoya Castle construction, which was fully completed in 1612. Many generations of the Tokugawa family have resided in this castle. Unfortunately, during WWII a great number of towers and gates were destroyed in the 1945 bombings and fires. However, the castle and its main keeps have been fully restored. Today visitors can enjoy the greatness and glory of the Nagoya castle, as well as the beautiful panoramic views over the city. How to get there: From Kyoto Station, take the Tokaido-Sanyo Shinkansen line to Tokyo (included in your JR Pass). You will get to Nagoya station in just 35 minutes. The Himeji Castle, also known as the White Heron Castle, is said to be the most spectacular castle in Japan for its grandeur, exquisite construction detail, and complex grounds. If this is not enough, consider the fact that this is both a world heritage site and a Japanese national treasure. 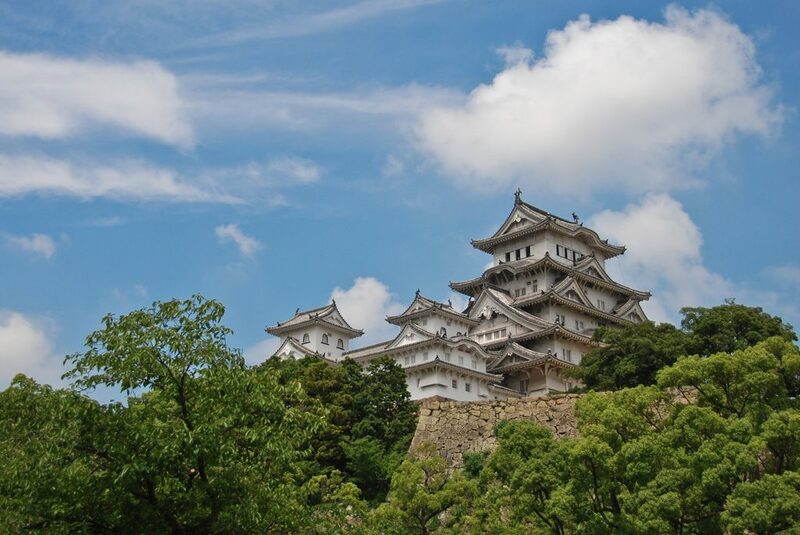 As soon as you get out of the train, you will easily see the gorgeous view of the Himeji Castle, perched on the highest hill, guarding the city. It is also a very popular day trip during the cherry blossoming season. The gardens and surroundings of the castle make for an unforgettable and beautiful experience. How to get there: There is a direct train service from Kyoto to Himeji, included in your JR Pass. Take the Shinkansen Hikari train from Kyoto and arrive in Himeji station in a little over 45 minutes, or take a local express train which will get you there in 90 min. Uji is located just between Kyoto and Nara, Japan’s former capital cities. During the 1100s, it became known for the superior quality of its green tea; it is said that Uji is the location in which tea cultivation began. The town is also home to rustic temples, including the oldest Japanese shrine still in existence. 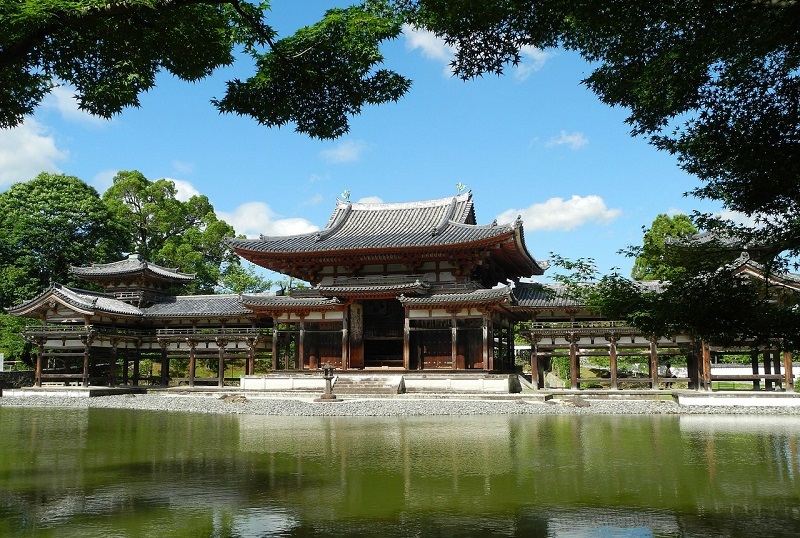 The Byodo-in Temple is the most popular attraction in Uji. It is constructed in Jodo, or “Buddhist pure land architecture,” thus representing paradise. The temple is ancient, having been built as a private residence for a politician in the year 998; it was converted into a temple by the founder’s son. Byodoin features a garden, treasure house museum, and the Hoodo, or Phoenix Hall, which appears on the back of the ten yen coin. This hall is one of the few completely original temple structures, never having been destroyed by fire as other buildings were. How to get there: From Kyoto Station, take either the rapid or local train on the JR Nara Line to Uji Station. The stations are located close to one another, and the trip lasts only 20 to 30 minutes, making Uji a great option for a day trip from Kyoto. Nice list! The Hikari shinkansen takes just at 60 minutes; the local rapid express (shin kaisoku) takes 90 minutes. Hope this helps!